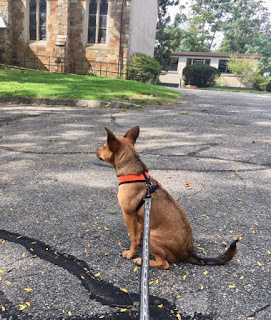 In my October In Good Faith column, I find spirituality in walking a puppy through a church parking lot. No, seriously. I spend a lot of time wandering aimlessly through the church parking lot. It never used to be this way. My general philosophy had always been that parking lots were designed for cars, not people. But then we got a new puppy, and suddenly I find myself walking around the parking lot like a lost itinerant preacher holding a leash rather than circuit riding atop a horse. chihuahua. We’ve been doing puppy classes (which, apparently, are no longer referred to as “obedience school”), but in the months before figuring out leash walking, Cooper and I have spent a lot of time strolling through the church grounds, with particular emphasis on the parking lot. For some reason, he has an affinity for it. One lesson this has revealed, besides the fact that he’s no longer motivated by the cheap training treats, is the joy of exploring familiar spaces in new ways. I mean, if someone had asked me a few months ago about the church parking lot, I would have been able to sketch it out on a napkin. I know its basic shape, the upward slope of the driveway, the proximity of the church, the Memorial Garden, and playground. But I didn’t really know it. I never paid attention to the way the light hit the pavement through the trees at different times of the day or how particular angles of church architecture stand out from different vantage points or the beauty of the wild vegetation that forms a natural barrier around it. Forced intimacy with the familiar brings new perspective, opening fresh insights and inviting wonder. That’s an unexpected gift that can arise even through someone as seemingly mundane as walking a dog through a parking lot. And it leads to reflection upon what other newly revealed joys we may be missing that exist in our midst. It may be someone in our lives with whom we’re familiar but never really taken the time to truly know. Or a daily ritual like a commute or a walk around the neighborhood that we no longer fully see because we’re too distracted or we find ourselves staring at our phones or it’s just become too familiar. People often have this experience with the Lord’s Prayer — it has become so rote, so familiar, that we fail to hear the power behind it. When we put it in context, we recall that Jesus teaches it to the disciples after they ask him how to pray. Think about that! If you were allowed to ask Jesus one question, this might not be at the top of your list, but it would likely make the top five. 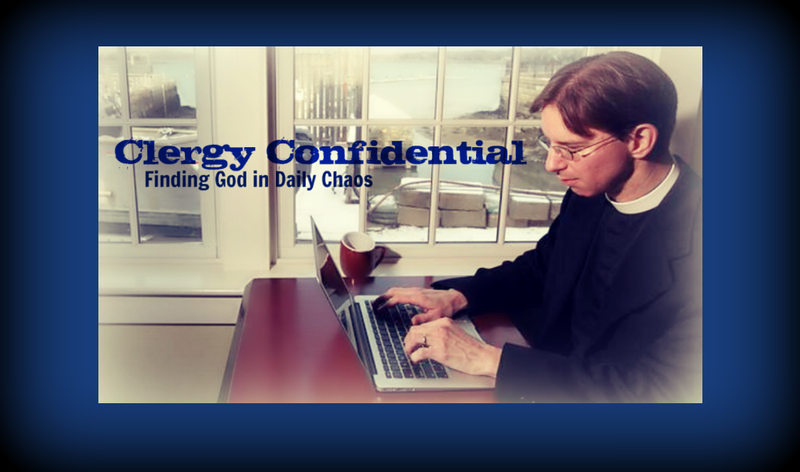 And he gives us a simple, poignant, direct, example of how to converse with the divine. Fall is a wonderful time to open your heart and mind to the wonders of the familiar. Unlocking the potential beauty of that which surrounds us, invites us into the world that exists beyond first impressions. It gives us the opportunity to break through the familiar in order to experience things with fresh eyes. I encourage you to discover your own parking lot moment.